Photographs of two Singaporeans wearing t-shirts with rather defamatory and vulgar political slogans on them have been going viral online. One netizen, Bruce Wee, took to Facebook yesterday to post images of these Singaporeans’ offensive t-shirts. 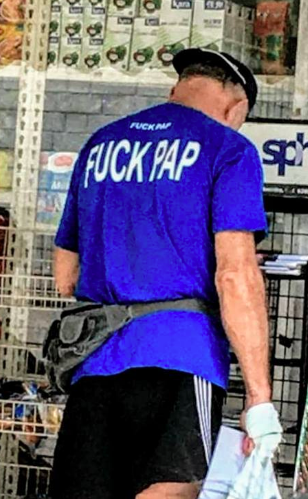 While the origins of the photos are unclear, in one, a man can be seen casually browsing a shop while the back of his t-shirt read, “F**K PAP”. The same netizen also posted pictures of another ‘customised’ t-shirt that criticised the Central Provident Fund (CPF) scheme and political leaders. 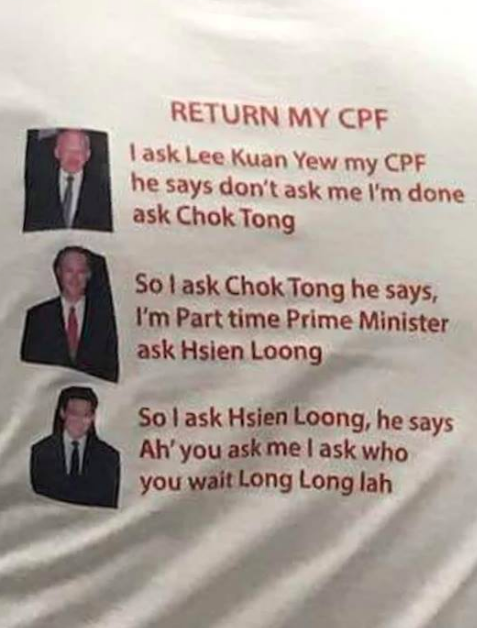 Titled “Return My CPF”, it read, “I ask Lee Kuan Yew my CPF he says don’t ask me I’m done, as Chok Tong. So I ask Chok Tong he says, I’m Part time Prime Minister, ask Hsien Loong. So I ask Hsien Loong, he says Ah’ you ask me I ask who you wait Long Long lah”. Most netizens were very shocked by the brazen act of these Singaporeans. 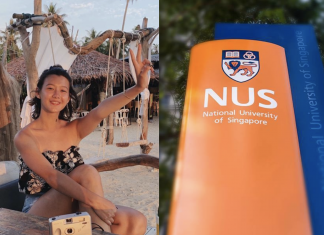 One netizen also speculated that while PAP connoted a political party here in Singapore, it could have meant something entirely different for the fair skinned “ang mo” or foreigner.